Actor Anupam Kher, who plays former Prime Minister Manmohan Singh in The Accidental Prime Minister, has said the makers of the film have no political agenda behind its release. Anupam spoke at the Bombay Stock Exchange along with the presenter of the film Jayantilal Gada here on Friday. The Accidental Prime Minister, directed by Vijay Ratnakar Gutte and based on an eponymous book by Sanjaya Baru, is the first release of the year 2019. Anupam said the makers have put in a lot of sincerity in the project. “We have made this film with a lot of sincerity and we don’t have any political agenda behind the release of the film. Akshaye Khanna earlier made a really good statement that this film will make people debate and not a controversy. Uri: The Surgical Strike Box Office Day 1: Exceeds Expectations In A Major Way, Has A Very Good Opening! “In 35 years of my acting career, I haven’t worked hard the way I have worked for this film. I am really happy that the Bombay Stock Exchange invited us over here,” he added. Asked whether he had any sort of communication with Manmohan Singh to watch a film based on his life, Anupam said: “When you do a biopic of a certain person, then the actor of that film always wants to know the reaction of the person on whom that biopic is based. 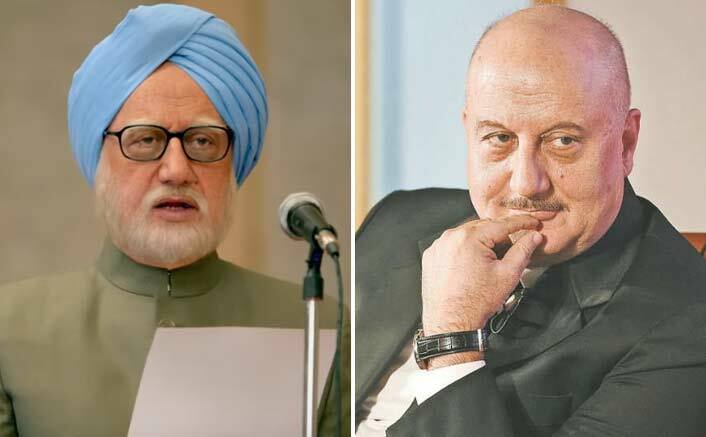 The post Anupam Kher: No Political Agenda Behind The Accidental Prime Minister Release appeared first on Koimoi. Next Article Uri: The Surgical Strike Box Office Day 2: Grows Further On Saturday!